Criminal P.C. 1973 - Ss. 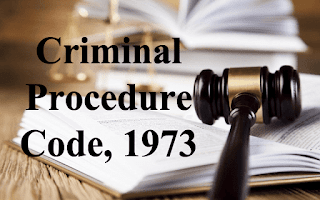 438 & 439 - In any case, the protection under Section 438, Cr.P.C. is available to the accused only till the court summons the accused based on the charge sheet (report under Section 173(2), Cr.P.C.). On such appearance, the accused has to seek regular bail under Section 439 Cr.P.C. and that application has to be considered by the court on its own merits. Merely because an accused was under the protection of anticipatory bail granted under Section 438 Cr.P.C. that does not mean that he is automatically entitled to regular bail under Section 439 Cr.P.C. The satisfaction of the court for granting protection under Section 438 Cr.P.C. is different from the one under Section 439 Cr.P.C. while considering regular bail. [KURIAN JOSEPH] [MOHAN M. SHANTANAGOUDAR] AND [NAVIN SINHA] JJ. 4. Under Section 37 of the NDPS Act, when a person is accused of an offence punishable under Section 19 or 24 or 27A and also for offences involving commercial quantity, he shall not be released on bail unless the Public Prosecutor has been given an opportunity to oppose the application for such release, and in case a Public Prosecutor opposes the application, the court must be satisfied that there are reasonable grounds for believing that the person is not guilty of the alleged offence and that he is not likely to commit any offence while on bail. Materials on record are to be seen and the antecedents of the accused is to be examined to enter such a satisfaction. These limitations are in addition to those prescribed under the Cr.P.C or any other law in force on the grant of bail. In view of the seriousness of the offence, the law makers have consciously put such stringent restrictions on the discretion available to the court while considering application for release of a person on bail. It is unfortunate that the provision has not been noticedby the High Court. And it is more unfortunate that the same has not been brought to the notice of the Court. 5. Having thus noticed that apparently a wrong order has been passed by the coordinate Bench of the High Court, this Court, by order dated 22.11.2017, directed the State to verify whether any steps have been taken for challenging the orders granting anticipatory bail to the co-accused. “Seeking, among other things, parity the petitioner has sought for anticipatory bail. Noticing the anticipatory bail granted in an NDPS case to the co-accused, this Court by order dated 22.11.2017, while issuing notice passed the following order:- “Issue notice, returnable in three weeks. In the meantime, the respondent-State is directed toclarify as to whether any steps have been taken for challenging the orders granting anticipatory bail to the co-accused in the same case.” It is also relevant to note that in the impugned order dated 4.10.2017 the learned Judge has noted that the coordinate Bench which granted anticipatory bail to the co-accused has omitted to take note of Section 37 of NDPS Act, 1985. Thereafter, the matter was posted on 15.12.2017 and the counsel sought three weeks' time to file counter affidavit, which was granted. Today, learned counsel for the respondent/State submits that the counter affidavit is ready and the same may be permitted to be filed during the course of the week. At paragraph 6 of the counter affidavit it is stated “... no decision for challenging the order dated 21.09.2017, whereby anticipatory bail was granted to co-accused, namely, Beant Singh and Gurwinder Singh has been taken by the Government”. Learned counsel for the respondent/State submits that the process takes some time, since the file has to pass through many hands. We direct the Secretary (Law) or the Secretary concerned in the Governmentdealing with the matters regarding sanction to be present before this Court with the records pertaining to the sanction for cancellation of the bail granted to the co-accused by order dated 21.09.2017, on the next date of hearing. “Today, Mr. N.S. Kalsi, Additional Chief Secretary, Home Affairs and Justice, along with Superintendent of Police, Patiala and the other police officers concerned are present in Court. It is reported that the matter came to the notice of the Additional Chief Secretary, Home Affairs and Justice, only on 25.01.2018 and within a week steps have been taken to file a special leave petition and the same has been filed. We direct the Additional Chief Secretary, Home Affairs and Justice, to conduct an appropriate inquiry as to who are the officials/officers involved in taking such a lackadaisical attitude despite the High Court in the impugned order pointing out that the order granting bail to the co-accused was not proper. Needless to say that the Report shallcontain names of the officers who, despite three postings before this Court, were not vigilant in not bringing up the matter before the Government. The Report, as above, shall be filed within four weeks from today. 8. Thereafter, it appears the State became alert and steps have been taken to challenge the anticipatory bail granted to Beant Singh and Gurwinder Singh and that is the subject matter of Crl. Appeal No. 463 of 2018. 9. The State has referred to in detail, the decision of the Punjab and Haryana High Court in Vinod Kumar vs. State of Punjab, reported in (2013) 1 RCR (Criminal) 428 regarding drug addiction and its ill effects in society. Thus, it is not as if the State was not aware of the grave situation in the State of Punjab. Yet, it is disturbing to note that the prosecution has been lackadaisical in their approach in not taking vigilant measures. “Challan presented today. It be checked and registered. Copies of documents supplied to accused Gurwinder Singh and Beant Singh who have come present free of costs. They also moved application for accepting and attesting the surety bonds as per orders of the Hon’ble High Court dated 14.7.2017. The copy of the order passed by Hon’ble High Court is also enclosed herewith. The said order has been verified from the site of the Hon’ble High Court through Internet. In view of the orders passed by Hon’ble High Court, both the accused are directed to furnish the bail bonds in the sum of Rs. One Lac with one surety in the like amount each. Bonds furnished which have been accepted and attested. Amrik Singh is lodged in Central Jail, Patiala in this case. Let his production warrants be issued for 7.11.2017.” 11. It may be seen that what is noted by the learned Sessions Judge is the interim order passed by the High Court dated 14.07.2017, which reads as follows :- “Learned counsel for the petitioners submits that as per the police version, recovery of contraband was effected fromthe bag carried by Amrik Singh father of petitioners and petitioner-Gurwinder Singh was alleged to be driver of the motor cycle. The question as to whether the petitioners were in conscious possession of contraband, in possession of their father, is to be seen by the Investigating Agency before presenting the challan. Notice of motion for 21.09.2017. In the meanwhile, the petitioners are directed to surrender before the police and join investigation within a week. In the event of their arrest being required, they shall be released on interim bail till the next date, subject to their furnishing bonds to the satisfaction of Arresting Officer. However, they shall abide by the terms and conditions as envisaged under Section 438(2)(i) to (iv) Cr.P.C. failing which they shall loose the benefit of interim bail allowed to them.” 12. As a matter of fact, the main petition itself had been disposed of by order dated 21.09.2017. The order reads as follows :- “The present petition has been filed under Section 438 Code of Criminal Procedure for grant of anticipatory bail to the petitioners in case FIR No. 0053 dated 11.06.2017 registered for the offences punishable under Sections 22, 29 of Narcotic Drugs and PsychotropicSubstances Act, 1985 at Police Station Bhadson, District Patiala. Amrik Singh was arrested by the police with contraband which included various drugs. The allegations against the petitioner No. 2 Gurwinder Singh is that he had escaped from the spot after leaving the motor cycle on which he was travelling with his father-Amrik Singh. The allegations against petitioner No.1-Beant Singh is that he had been procuring contraband and giving the same to his father and brother for sale. Beant Singh was not even present at the spot when the recovery was effected. Even after his joining the investigation nothing has been recovered by the police regarding allegations contained in secret information on the basis of which this FIR was registered. Identity of Gurwinder Singh as a person who allegedly ran away from the spot is a point which call for proof during trial. Keeping in view the above fact but without expressing any opinion on the merits of the case, this petition is allowed and the order dated 14.07.2017 is made absolute till the presentation of challan, subject to the following terms:- (i) that the petitioners shall make themselves available for interrogation by the police as and when required; (ii) that the petitioners shall not,directly or indirectly, make any inducement, threat or promise to any person acquainted with the facts of the accusation against them so as to dissuade him from disclosing such facts to the Court or to any police officer; (iii) that the petitioners shall not leave India without the prior permission of the Court. 13. It is unfortunate that the Sessions Court did not take note of the final order passed by the High Court. The Court should have enquired as to whether the matter had been finally disposed of, particularly after noticing the interim order. The casual approach adopted by the learned Sessions Judge has apparently led to the accused being released on regular bail, on the basis of the interim order passed by the High Court. When the application for anticipatory bail was the subject matter before the High Court, the accused had no business to go and surrender before the Sessions Court and seek regular bail on the basis of an interim order. The learned counsel for the accused submits that they had produced the final order passed by the High Court dated 21.09.2017 along with the application for regular bail. 14. In any case, the protection under Section 438, Cr.P.C. is available to the accused only till the court summons the accused based on the charge sheet (report under Section 173(2), Cr.P.C.). On such appearance, the accused has to seek regular bail under Section 439 Cr.P.C. and that application has to be considered by the court on its own merits. Merely because an accused was under the protection of anticipatory bail granted under Section 438 Cr.P.C. that does not mean that he is automatically entitled to regular bail under Section 439 Cr.P.C. The satisfaction of the court for granting protection under Section 438 Cr.P.C. is different from the one under Section 439 Cr.P.C. while considering regular bail. 15. Be that as it may, the order dated 21.09.2017 passed by the High Court does not show that there is any reference to Section 37 of the NDPS Act. The quantity is reportedly commercial. In the facts and circumstances of the case, the High Court could not have and should not have passed the order under Sections 438 or 439 Cr.P.C. without reference to Section 37 of the NDPS Act and without entering a finding on the required level of satisfaction in case the Court was otherwise inclined to grant the bail. Such a satisfaction having not being entered, theorder dated 21.09.2017 is only to be set aside and we do so. 16. Consequently, the order dated 31.10.2017 passed by the Sessions Court is also set aside. All the three accused in both these appeals are directed to surrender before the trial court. However, we make it clear that they are free to apply for regular bail, in which case, the Sessions Court will consider the matter on the merits of the application. Before parting with the Judgment, we also painfully note that even in the inquiry conducted pursuant to the orders passed by this Court, there was no reference to the regular bail granted to Beant Singh and Gurwinder Singh and that too, on production of an interim order passed by the High Court. Had the same been noticed, the State would have certainly taken steps much earlier. This is once again to remind the police and the prosecutor that they need to show due diligence and vigilance while dealing with the cases under the NDPS Act. 17. We make it clear that none of the observations made in this judgment shall have any bearing on the trial or consideration of any application for bail at any stage since our order is only for the purpose ofthe appeals in the matter of grant of bail. 18. With the above observations and directions, the Crl. Appeal No. 462 of 2018 is dismissed and that of the State i.e. Crl. Appeal No. 463 of 2018 is allowed.